We work with several Sewer Scoping Companys and can schedule the same day. Let us know what would work best for you. Would you like to know what condition your property is in before you buy it? A home inspection will evaluate the components and systems of a home and give you a detailed report of its condition. A good home inspection report should indicate any safety concerns, material or marginal repair areas, and a list of all things inspected that the home inspector could find. Our home inspection costs start at about $250 for a 1000sq ft home and the property inspection usually takes about 3.0 hours. The cost may increase depending upon size of home, ancillary services needed, availability of inspectors and distance traveled to the property. In most cases the inspection can pay for itself discovering any material or marginal components that they find. Bringing these areas of concern to you attention and pointing out key areas of what your are buying and what potential costs may arise once you are the new owner. Why choose a Boulder Home Inspector? Certified and Insured inspectors thoroughly go through each component of your new home and visually inspect, report and educate you on key areas of concern about safety, material items, and maintenance issues. Our goal is to provide quality, thorough, easy to understand, detailed information so you can make informed decisions about your investment. We know time is of the essence so we can work around your schedule to make sure you receive the information you need before your property inspection deadline. Once inspected we are available to answer your questions and help you decide on any additional concerns identified. We use the most advanced inspection reporting software in the industry allowing you 24/7 digital access to reports, photos, and videos. You can also make payments, print reports, and sort your inspection findings by Summary, Safety Items, Material items and Area of issues all in one intuitive easy to use mobile friendly interface (Try doing that with your printed report). 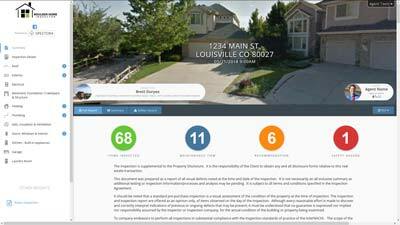 Both agents and clients love our software because it is easy to refer to key areas without thumbing through 50 pages of information to find what you are looking for. 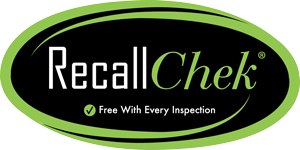 We include Recall Chek with every inspection, which will tell you if your appliances are eligible for a free maintenance or replacement. What can a certified home inspection can do for you? Determine the overall condition of the systems and components that exist in your new home. Point out some of the Safety concerns that may exist in the home. Point out any Material and Marginal areas of the home. Ability to plan for upcoming home maintenance or repair costs. Provides the comfort of an unbiased 3rd party opinion. What a Boulder Home Inspection includes?